Overview Property Details Resort Description Map Amenities Click Here To View Larger ImageClick Here To View Larger ImageClick Here To View Larger ImageClick Here To View Larger Image SALE PRICE $2,500.00 Week: Floating Unit Size Varies Bathrooms Vary Sleeps Varies Have a question? 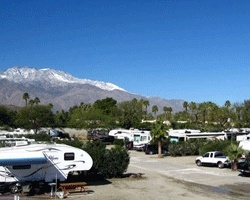 Call our buyer hotline: 1-855-299-3829 Cathedral Palms RV Resort 35-901 Cathedral Canyon Drive Cathedral City, California Rare Resale Opportunity At This Amazing Campground! So Much To See And Do! Family-friendly! Make An Offer Today! Property Details - Ad #2192969 Ownership: Deeded Usage Type: Annual - Every Year Points: Not Specified Maintenance Fees: $86.00 Affiliation: Resort Code: Not Specified Season: Not Specified View: Not Specified Unit: Not Specified Resort Description *Cathedral Palms RV Resort* features large, private RV spaces in a relaxed, quiet family setting. Amenities include pool, spa, wading pool, laundry, clubhouse and shower rooms. The resort can accommodate any size rig. In addition, tent campers are welcome and enjoy specific sites reserved for their use. 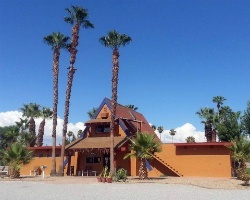 Located just 7 miles from downtown Palm Springs and only 10 miles from the Palm Springs Aerial Tram, an exhilarating ride from the desert floor to the often snow-capped peak of Mt. San Jacinto. Enjoy the Living Desert in Palm Desert, a wildlife adventure with a collection of animals from deserts around the world. The Palm Springs Air Museum with one of the nation's largest working collection of World War Aircraft and vehicles is just minutes away. After a day enjoy the onsite and local attractions, sit back and bathe in the beauty of daily, majestic sunsets in the shadow of the San Jacinto Mountains. A beautiful finish to any day. Rare resale opportunity at this amazing campground! So much to see and do! Family-friendly! Make an offer today!